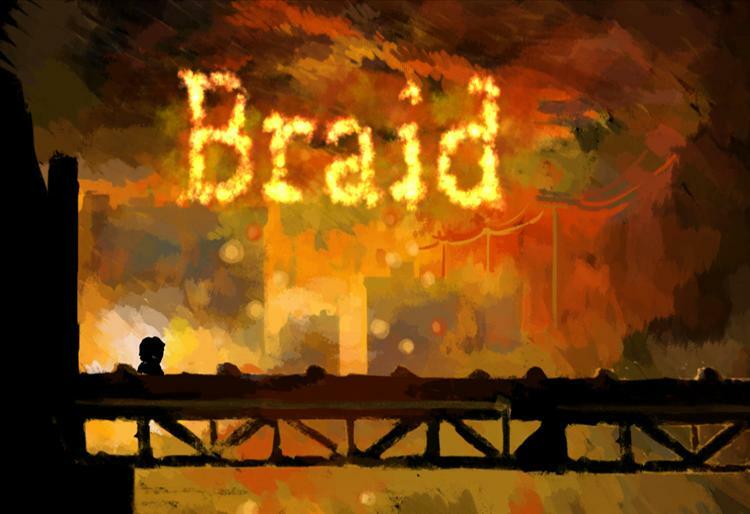 European PS3 players won't have to wait much longer to get a hold of the critically acclaimed Braid. HotHead games announced today that they are bringing the indie puzzle-platformer to the European Playstation Store on December 17th for €9.99. While Braid was originally released on the Xbox Live Arcade last summer, to great reviews, the recently released North America PS3 version managed to score a higher aggregate rating (at the current time) and earn the sixth spot on Metacritic's 10 highest rated games of the year with a 93%. Don't worry my European friends, you will just have to wait a little bit longer before you and our little hero Tim can manipulate time on your Playstation 3. VANCOUVER, British Columbia – Dec. 11, 2009 – A whole new audience of gamers will be able to unwrap Braid soon! Hothead Games proudly announced today that Jonathan Blow’s beloved indie title will arrive in the European PlayStation®Network on Dec. 17 for only €9.99, offering current and soon-to-be PlayStation®3 computer entertainment system owners a little extra holiday cheer this season. Players will explore the human condition and manipulate time with our hero Tim in the lush, painterly world of Braid. An Independent Games Festival winner, this puzzle-platformer takes you from a house in the city on a journey through a series of worlds to solve puzzles and rescue the princess. In each world, you have a different power to affect the way time behaves, including the ability to rewind, create parallel realities and utilize time dilation to overcome the many obstacles in your path. There is no filler in this game; every puzzle shows you something new and interesting about the game world. • Untraditional platforming. You can never die and never lose, but challenge is always present and focused on solving puzzles, rather than forcing you to play and replay tricky jumps. • Puzzle-rich environment. Travel through a series of worlds, searching for puzzle pieces and solving puzzles by manipulating time: rewinding, creating parallel universes and setting up pockets of dilated time. The game play is always fresh and new and the puzzles inspire new ways of thinking. • Aesthetic design. A painterly art style and lush, organic soundtrack complement the unique game play. • Nonlinear story. A nonlinear fiction links the various worlds and provides real-world metaphors for your time manipulations; act out these themes at your own pace, exploring playful “what if” universes. • Forgiving game play. The game doesn’t force you to solve puzzles in order to proceed. If you can’t figure something out, just play onward and return to that puzzle later. "PS", “PlayStation”, “PS3” and “PSN” are trademarks or registered trademarks of Sony Computer Entertainment Inc.
About Hothead Games: Headquartered in Vancouver, British Columbia, Hothead Games is an independent developer and publisher of groundbreaking titles. Hothead is currently partnering with indie studios all over the globe to bring their games to new audiences and bringing to life original properties such as Ron Gilbert's DeathSpank and the highly anticipated, award-winning Swarm. Hothead celebrated its third anniversary in 2009. For more corporate and product information, please visit our website at www.hotheadgames.com.